It has been ages since I done a post here. I hope you have all been well. I am so lucky to have such a wonderful design team that keep you inspired with all the fabulous creations they create. Just to let you know we are having a SALE on ALL Blue Butterfly Digi Images and Bizzy Becs Digi Tag Sheets. 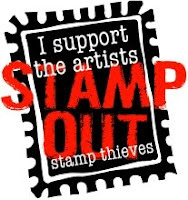 All Images are $1.50AUD. Sale ends midnight Sunday 21st Oct 2012 Western Australian Time. 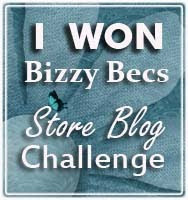 All orders placed for the Digi Images will go into a draw to win a $20AUD Gift Voucher to spend in Bizzy Becs Online Store. This is valid for worldwide customers. We would also LOVE to see any creations you make using our images. 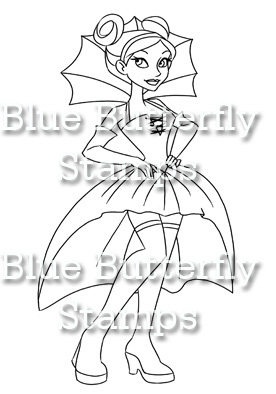 We do have some great Goth Style Images which would be perfect for Halloween Creations.